welding cable is excellent for welding applications, battery cable applications, battery bank wiring ,Maximum conductor operating temperature is 105°C in circuits not exceeding 600 volts. Minimum temperature rating -50°C. 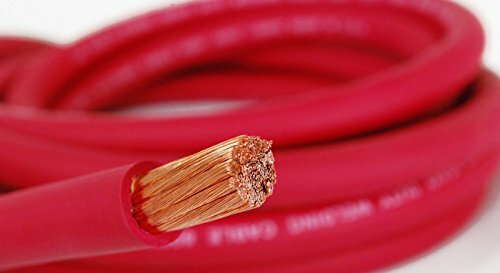 In addition to welding applications, Nassau Easy-Flex welding cable can also be used in car audio & battery installations, RV & golf cart wiring, solar & inverter wiring, battery banks and any other use that requires rugged, highly flexible cable. Order Carefully No Returns.